Fort Monroe National Monument and the Fort Monroe Authority welcome the Association of African American Museums to a progressive reception at Fort Monroe celebrating the opening of the conference. Our evening will start with a rooftop view of the Hampton Roads Harbor from the Historic Chamberlin. We will reflect on the arrival of the first Africans to English North America who were traded as property in 1619 and the courage and bravery of the three enslaved men to cross that same harbor 242 years later seeking refuge here at Freedom’s Fortress. From the Chamberlin, we’ll then head to the Casemate Museum for a tour of the museum and grounds to learn more about the history of the site including the new exhibits that juxtapose some of the complex issues of the American Civil War. 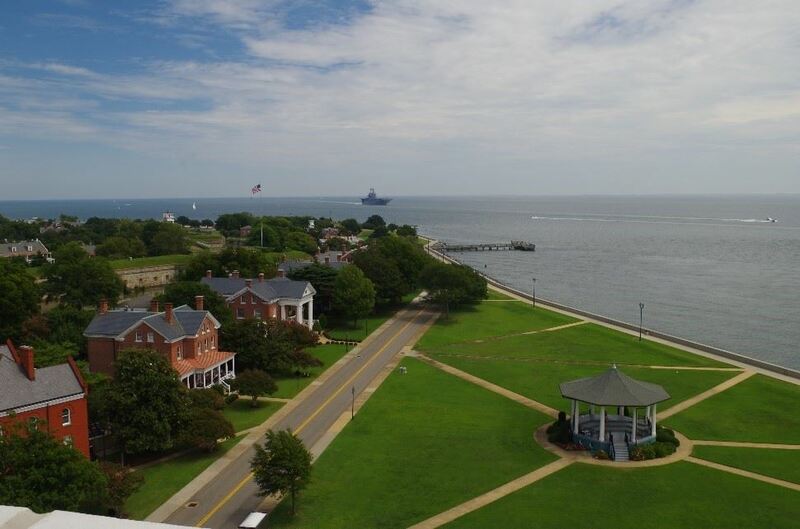 We’ll discover how Fort Monroe became Freedom’s Fortress and the important “Contraband of War Decision,” and we’ll visit the cell where Confederate President Jefferson Davis was briefly imprisoned after the war. Our evening will conclude at the former Officers Club, now the Paradise Ocean Club, as the sun sets over the Chesapeake Bay, where we’ll dance the night away with music from the ‘70s. Throughout the evening reception, guests will enjoy some of the region’s famous seafood, light hors d’oeuvres, craft beer, cocktails, and desserts. The Chrysler Museum of Art is one of America’s most distinguished mid-sized art museums, with a nationally recognized collection of more than 30,000 objects, including one of the great glass collections in America. The core of the Chrysler’s collection comes from Walter P. Chrysler, Jr., an avid art collector who donated thousands of objects from his private collection to the Museum. The Museum, expanded in 2014 to add additional gallery spaces and amenities for visitors, now has growing collections in many areas and mounts an ambitious schedule of visiting exhibitions and educational programs each season. 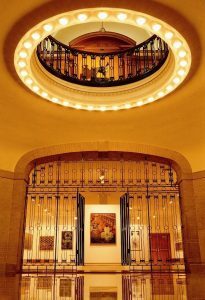 The Chrysler has also been recognized nationally for its unique commitment to hospitality with its innovative gallery host program. 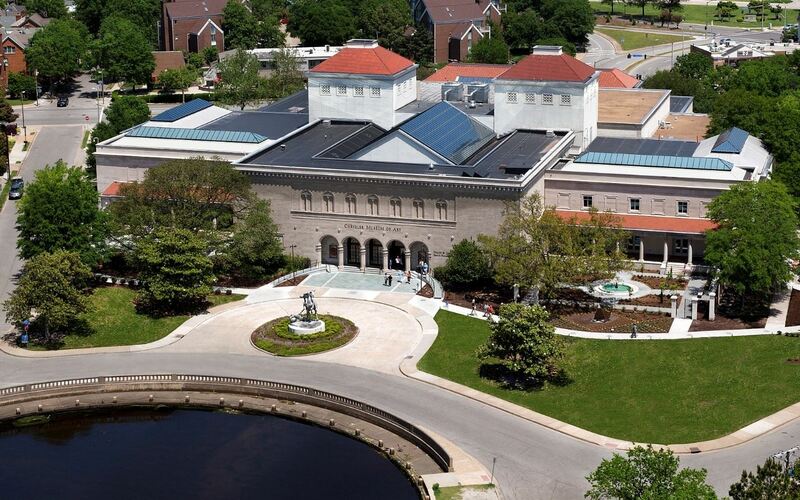 The Chrysler Museum of Art is located in Norfolk Virginia, an important 400 year old port city that is also home to the largest naval base in the world and many historic sites dating back to the birth of our nation. The Chrysler is excited to welcome all AAAM participants to a totally radical opening reception. All of the Museum’s galleries will be open for this 1980’s themed reception featuring great food, music, and local musician BJ Griffin. For more information on the Chrysler Museum of Art, visit chrysler.org. The Hampton University Museum invites and welcomes all AAAM members to A Summer Breeze: An All White Party on the historic campus of Hampton University. Join us at your New Home by the Sea and help us as we celebrate 150 years as a Museum, University and the 40th Anniversary of our President, Dr. William R. Harvey. View the collection of the oldest African American Museum in the United States and one of the oldest Museums in Virginia. Prepare to show off your All White as you view Two Hundred Years of African American Art, our world renowned collection of African and American Indian art and our special exhibition, Pathways To Education: History, Legacy and Legend. Enjoy the uniqueness of an HBCU with Ebony Fire, enjoy great music, dancing and Southern cuisine as you walk the grounds rich in history, steeped in tradition nestled along the banks of the Virginia Peninsula, near the mouth of the Chesapeake Bay.